Palmer provided site layout for the parking area and surrounding facilities. The site grading was also coordinated with the proposed building and its elevations as provided by the architect. Palmer also provided detention pond design and utilities, including water, sanitary sewer, telephone, electric, and gas. Erosion control plans and details were also provided. These plans were included in the Storm Water Pollution Prevention Plan (SWPPP). The plan was submitted to the City of Winchester for approval, along with the Notice of Intent (NOI) to the Kentucky Division of Water for approval. 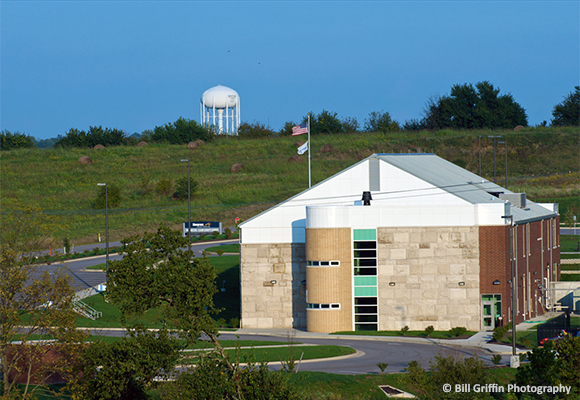 During the construction of the facility, Palmer provided construction administration.